I discovered this great little interesting sequential vignette from John McLenan which featured in Harper's New Monthly Magazine, September 1855. 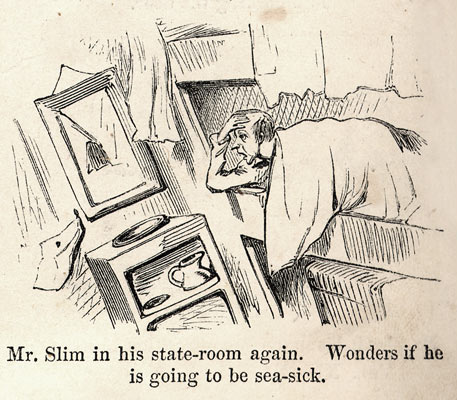 It is a seafaring tale of the calamitous Mr.Slim. It is available to look at here.